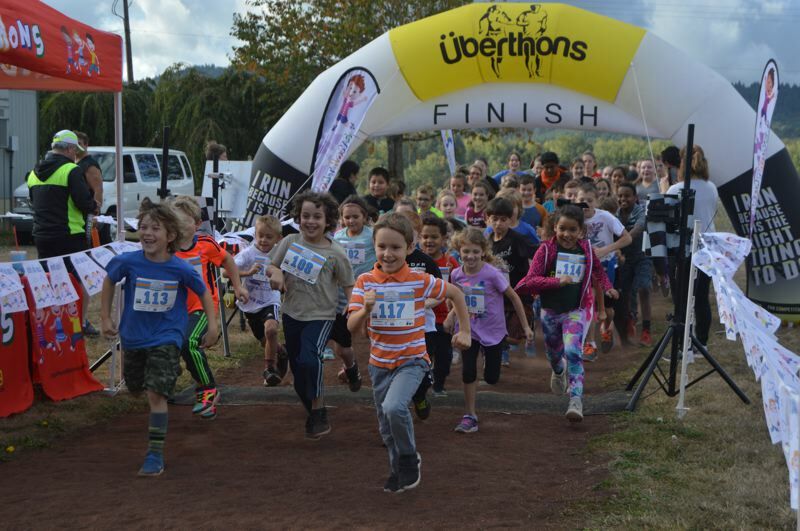 Students at Sauvie Island School take part in the annual jog-a-thon fundraiser on Tuesday, Oct. 2. Students requested pledges from community members, family and friends and will collect money based on the number of laps they run. This year, parent volunteers were able to secure several community sponsors for the event and posted flags along the track with their names and logos. Last year, the students collected $10,000 from the event, which helps pay for classroom technology like iPads, SIS Director Darla Meeuwsen explained. If students reach their goal of $15,000 this year, the middle-schooler who raises the most money will get to shave the head of Mr. Shea, a teacher on staff.